Build friendships and grow your professional contacts to assist with your research. Joining a local society provides a wealth of talent, experience, and camaraderie to help break through the brick walls we all face from time to time. An FGS membership makes you part of a growing community of family historians, through monthly meetings as well as online forums and blogs giving you access to multiple networking opportunities. Joining FGS opens doors for further resources to aid your research and study. Develop and refine your skills in methodology, analysis, writing, and technological tools to improve your research. Each month we strive to deliver relevant and current programs based on membership interests and culminates with our annual seminar with nationally recognized leaders. Your membership helps us to continue our strong tradition of excellence in educational programming for our community. Helps us grow the availability of digital records, assist others with their research, and educate the community on genealogy and family history. Join us as we continue to enhance the local Tampa community with volunteer projects with the FHGL, USF Special Collections, and local cemeteries. 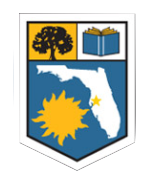 FGS is partnered with the Florida History and Genealogy Library (FHGL) to help promote and grow the large and diverse collections within the library. FHGL is one of largest genealogical collections and resources in the southeastern United States. Become an active supporter of this dynamic team. An FGS membership almost pays for itself. Members receive a $10 discount to the annual seminar (50% of an individual membership), discounts to software and DNA testing and are eligible for door prizes at our monthly meetings. Paying By Check — Click the Sign Up button to complete the online registration form. Then print the Purchase Order Receipt page and mail with your check. Make checks payable to Florida Genealogical Society and mail to Florida Genealogical Society, Inc., P.O. Box 18624, Tampa, FL 33679. Access to the system is granted once we process your payment. Alternately you may download our PDF Membership Application and submit with your check. Paying by Credit Card — Your credit card is charged the appropriate amount at the time of purchase and access granted upon successful completion of your purchase. Charges appear on your statement as Florida Genealogical Society.